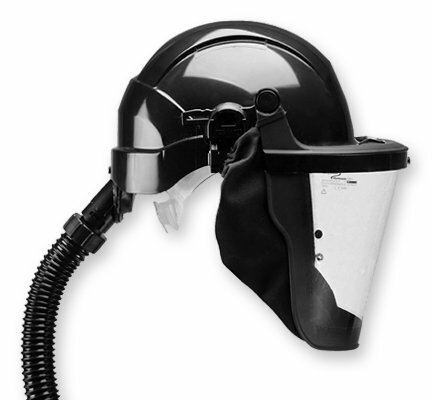 Magnum - Mine and Process Service Inc.
Our lightweight NIOSH approved Magnum 3000 PAPR/Powered Respirator protects you from dust, particulate, and impacts to the head and face, while staying comfortable and keeping operating costs low. The lightweight, yet rugged respirator combines with our comfortable Concept hard hat headpiece in a simple to use system, built to withstand the toughest industrial conditions. 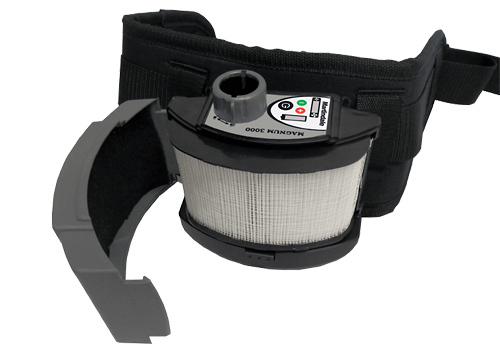 With a low initial cost and economical replacement filters, the Magnum 3000 provides one of the lowest costs of operation of any powered air-purifying respirator. The belt-mounted Blower Unit is constructed of extra-rugged Polycarbonate and ABS that won’t crack, despite weighing just over a pound. We don’t recommend running it over with your work truck, but you can. 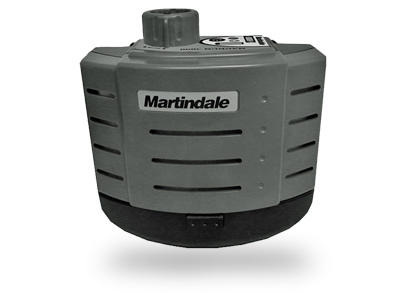 The internal microprocessor helps keep you safe by detecting low or blocked air flow. Air Flow is automatically increased before an audible signal prompts you to take action.